Nanchang EMK Garment Industrial Co., Ltd.
graphic white tee shirts umm with print on the chest is a popular style, comfortable fit, good workmanship from strictly controlled production line. product range our product include t shirt , polo shirt ,children shirts ,hoodies&sweatshirts ,jackets, short pants ,vest , baseball caps and so on. 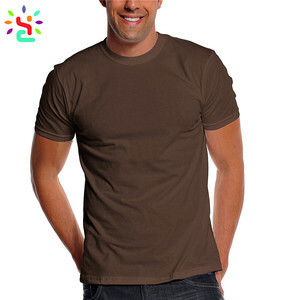 cheap customised seamless/side seam cotton v neck tee shirt product information no. 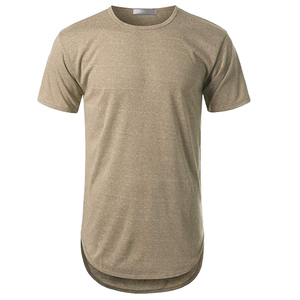 overview short sleeve distressed panel soft, medium-weight moisture-wicking jersey. welcome to custom your own design clothing !!! 2) We can help our customer do accessories: Such as tags, care label, washing label,poly bags. Q3. How to place an order 9 A : Please Email us for more products info. then we can start with a sample to check our quality, after that you placed an order. printed tee shirt is popular in the world. welcome to order printed tee shirt from our company ! product info custom silk screen printed men crew neck t shirts made in china supple style oem service size asia size ,europe size , american size etc. prouct features anti-pilling,anti-shrink,anti-wrinkle,breathable,compressed ,eco-friendly ,fl flashing ,plus size ,quick dry etc. 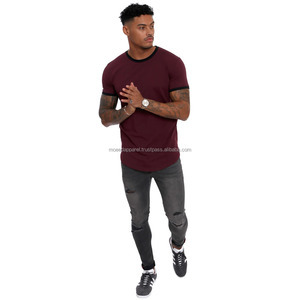 Size chart Standard Europe Men Size M L XL 2XL 1/2 Chest Width (cm) 52 54 56 58 Body length (cm) 72 74 76 76 The above size chart is usually suitable for people in Europe, Africa,Middle East and South America. Standard USA Men Size S M L XL 2XL 3XL 4XL 5XL 1/2 Chest Width (inch) 18 20 22 24 26 28 30 32 Body length (inch) 2 8 2 9 30 3 1 32 33 34 35 The above size chart is usually suitable for people in USA, Canada etc. Standard Asia Men Size S M L XL 2XL 1/2 Chest Width ( inch ) 19 20 21 22 23 Body length (cm) 69 70 71 72 73 The above size chart is usually suitable for people in Asia. 5. Quick response : All your inquires can be replied within 24 hours . Our forte is "a full coverage of sublimation printed sportswear and accessories. Q3:How long will it take for the sample and mass production9 A3:Ready stock sample can be sent within 24 hours . Wholesale oem 100% cotton sport men custom printing tee shirt 1, Wholesale oem 100% cotton sport men custom printing tee shirt. 3, for the color of the t shirt,we usually custom the color as the customer's pantone code. 4, available for silk screen printing,heat transfer printing,embroidery and 3d sublimation. We provide OEM and custom service and make various garment products based on the buyer's demand and design . Welcome custom design , we can print your own design or logo on hoodies if you need. 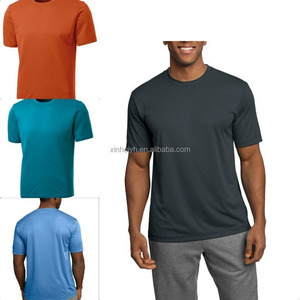 printing v neck t shirts in bulk sports Contact us If you want to know more about product informations,pls feel free to contact with us or send email to us . Your own logo/label/print can be put on it, your design can be worked out real products , please contact us with any question. We offer com- petitive pricing while being able to provide good quality. 1 How to get a sample9 a.
sewing technology we use computer sewing machine imported from japan, using four needles six lines, five line, flat car, etc. the ink is impregnated into the fabric in gas form and it cannot therefore be felt on surface of the garment nor does it impede the technical performance of the fabric. We have a rigorous and professional quality control system, each model is checked before delivery to ensure our high standards and quality. We think that every order is worthy of personal attention and is detected so that every order and rearranged experience is quick, smooth and error free. Q1.Are you a factory or trading company 9 We are a factory for 10 years producing and exporting T-shirt. We can custom any size only if you have your size specifications. For blank clothes orders, we can make quick response to them. to check more of our design We can made modification to make them become your design. Alibaba.com offers 80 tee shirts umm products. There are 1 tee shirts umm suppliers, mainly located in Asia. The top supplying country is China (Mainland), which supply 100% of tee shirts umm respectively. 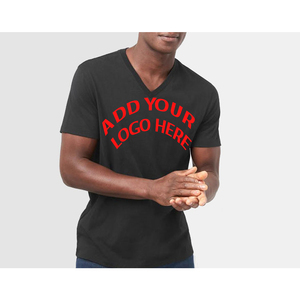 Tee shirts umm products are most popular in Mid East, Southern Europe, and Africa.